Our baby bibs come in a variety of 4 comfortable Baby Bandana; choose the matching bandana bib to complete the outfit. 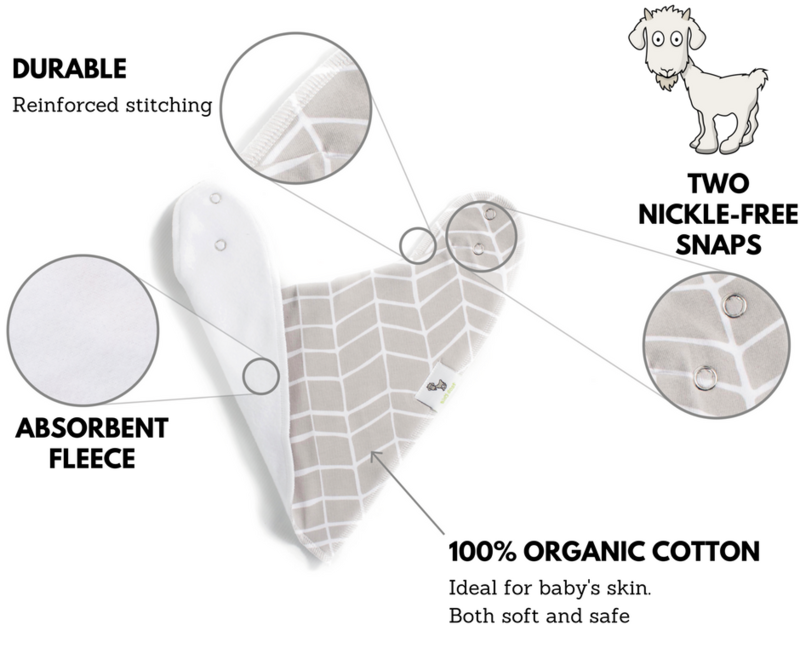 Each baby bandana bib has 2 snaps on the backside – making the bib adjustable as your newborn grows to be a toddler, age range from 3 to 24 months. Premium snaps were specifically designed to fasten swiftly. With our snap closure mechanism, the drool bibs can be adjusted from infancy to toddlerhood. Our bandana bibs were designed with baby’s best interest in mind. Made of dual absorptive cotton on the front with 100% polyester fleece on the back. Functional on the front, comfortable for baby on the back. As an added bonus, each bandana bib is paired with a matching pacifier clip. The baby bandana bibs were made using our modern technique. This technique allows us to offer 100% quality guarantee. Simple, if you aren't thrilled with our product, you have a 1-year money back guarantee! Simply put, we want to design the best baby bandana bib on the market. 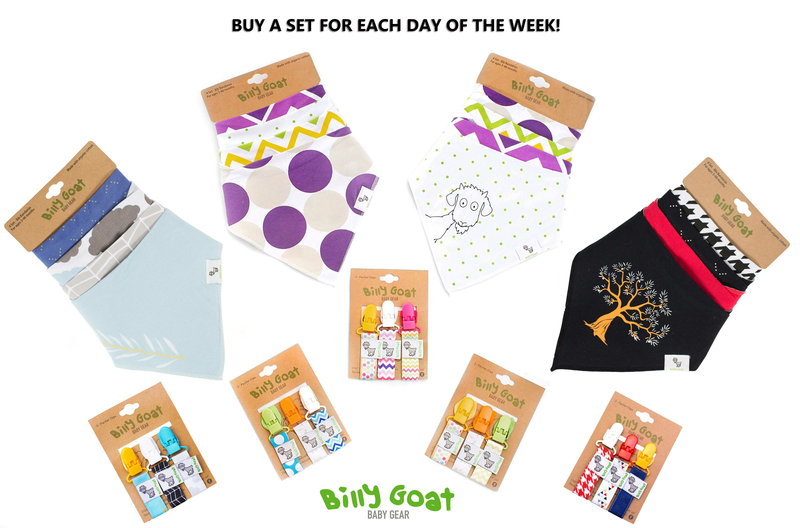 The 4-PACK of baby bibs will be a great gift for new parents and new grandparents. Imagine the excitement when a new mom opens this gift at her baby shower. 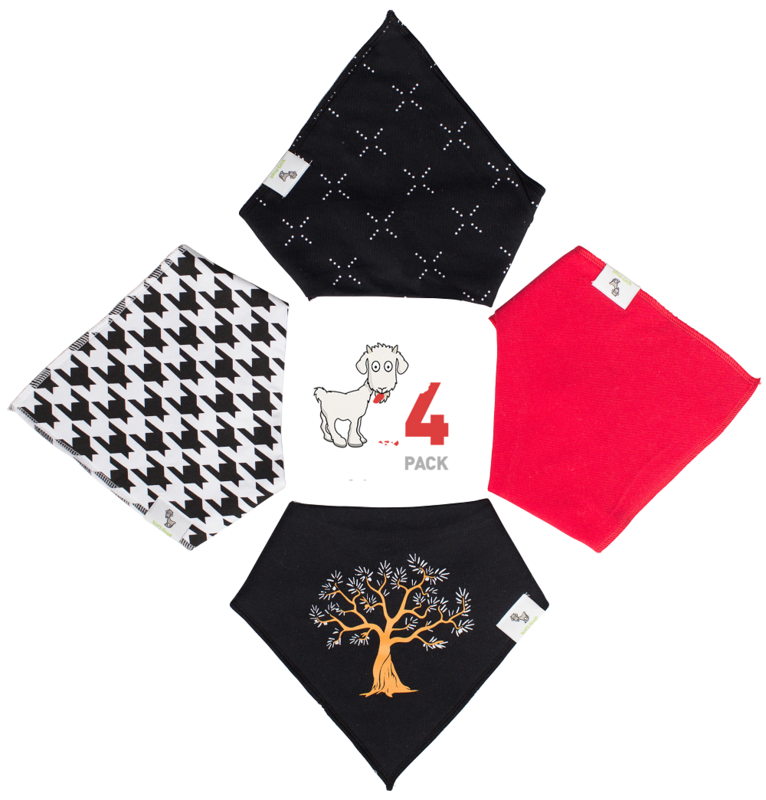 Our baby bibs come in a variety of 4 comfortable Baby Bandana; choose the matching bandana bib to complete the outfit. 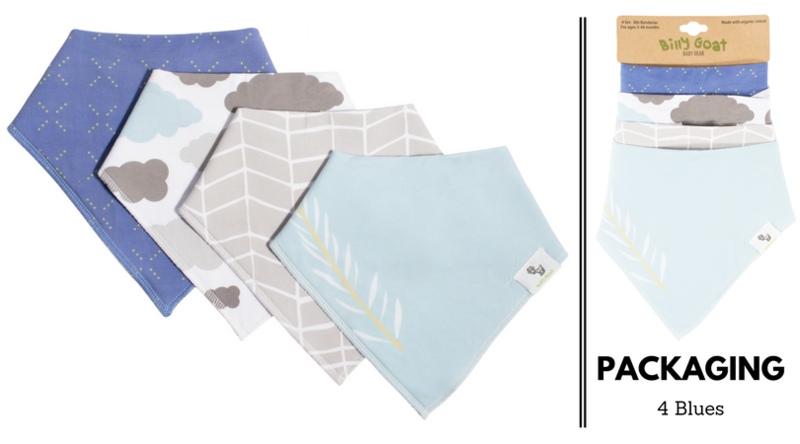 Functional as well, our triangle shaped bandanas are equally ideal for teething babies, infants transitioning to solid food or for self-feeding toddlers. They stay fresh, fashionable, stylish and trendy in organic muslin & bamboo cotton.